2. 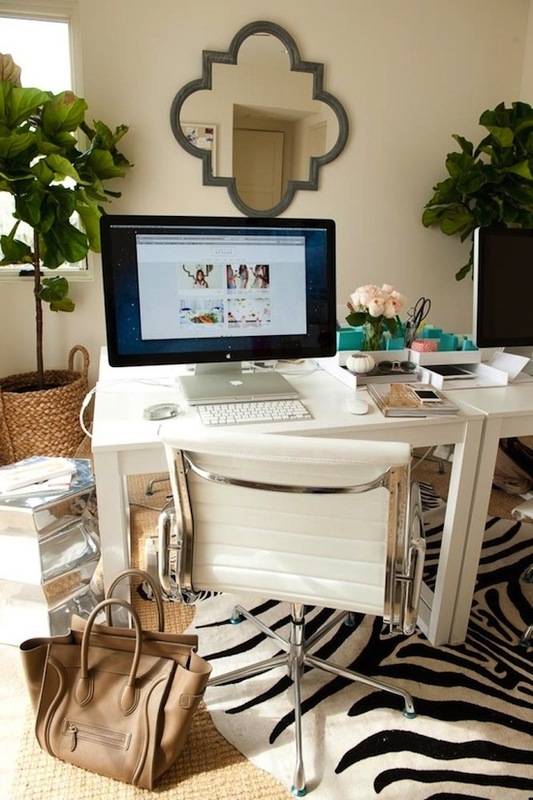 I like the idea of a combined workspace. The bottom 2 photos really combine desk and workspace. You could spread out pictures, or sketches and swatches. I like to be able to step back from things to take it all in. 3. I think a fabulous chandelier is critical. It is workplace glamour. 4. Chair. I think you need a great chair, and though I'm not crazy about any of these, I think that having a unique chair is a great addition. I love lucite or maybe a really interestingly-shaped, upholstered chair? 5. A MAC. A big one. I've gone to the dark side and I'm not looking back.